Biology lab is a place where sincere attempt has been made to adhere to spirit of learning without burden and presenting science as a live and growing body of knowledge with many open areas of investigation, rather than a finished product. . Since every child is curious to know about various organs, activities and life processes How, Why, Where, they are taking place in our body. We here provide a platform where they find answers to all these queries. 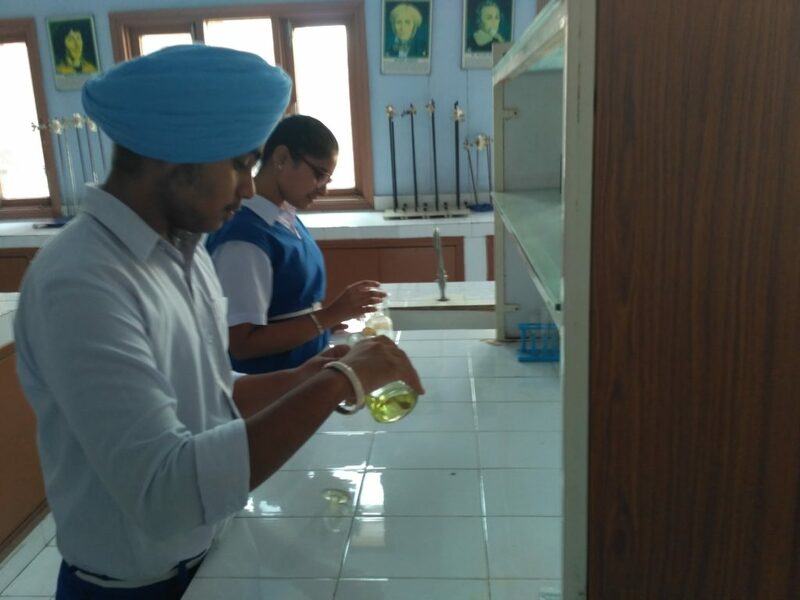 Chemistry Lab is a place where students give practical shape to written work. The lab is equipped with all the apparatus, equipments and chemicals required for performance of experiments may it be Salt analysis, gas making to show the different types of chemical reactions taking place, to find out strength of different solutions using universal indicator. Chemistry Lab has various salts and acids which are mixed in appropriate properties to study actions and reactions. At all stages precautions are taken to ensure 100% Safety and Security. We have modern Physics Laboratory having all the required equipments for thorough practical knowledge of the subject. The lab is quite spacious to hold the practicals. Students are taken to the lab in groups and are provided complete practical knowledge. We have all optical and electronics related equipment along with other apparatus as per the syllabus provided by C.B.S.E., New Delhi. Maths is a branch of Science that is directly or indirectly supportive of many other disciplines i.e. Science, Accounts, and Information Technology etc. The Maths laboratory is equipped with the Abacus, models of different shapes and multifaceted figures. It also has geometrical figures and Calculus related diagrams that teach motion. It has models of sequence and series, number charts and various other tablets to represent data in pictorial form. It is in this lab that students lose their fear of Maths and Maths time becomes fun time. Computer today is used in every sphere of life; Students must have a thorough knowledge of Computers and Internet to become a part of the big Universe. The Computer Laboratory is equipped with many high end computers and peripheral devices; we have computer studies and Computer Aided Learning as an important part of the curriculum. Internet connection is also provided in the lab for the use of Information on the WEB. 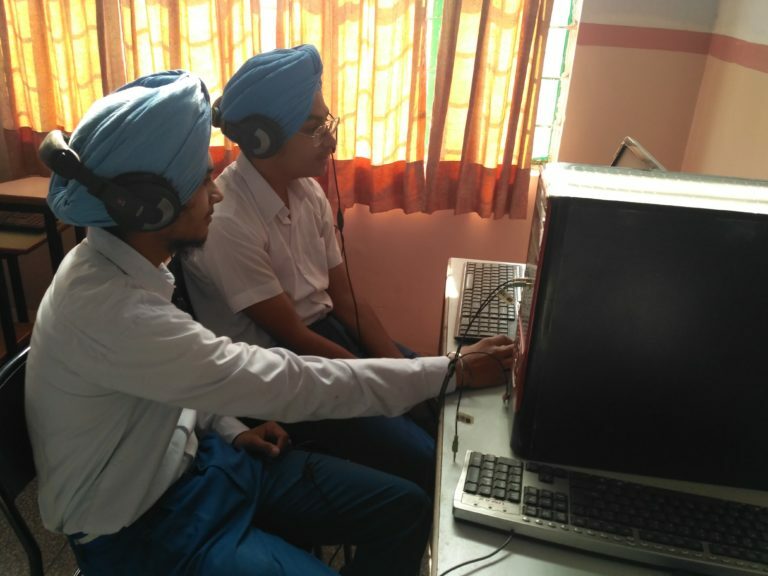 Each and every student has access to the computer as part of his/her academic schedule and also for co-curricular activities.Content of Dialog. 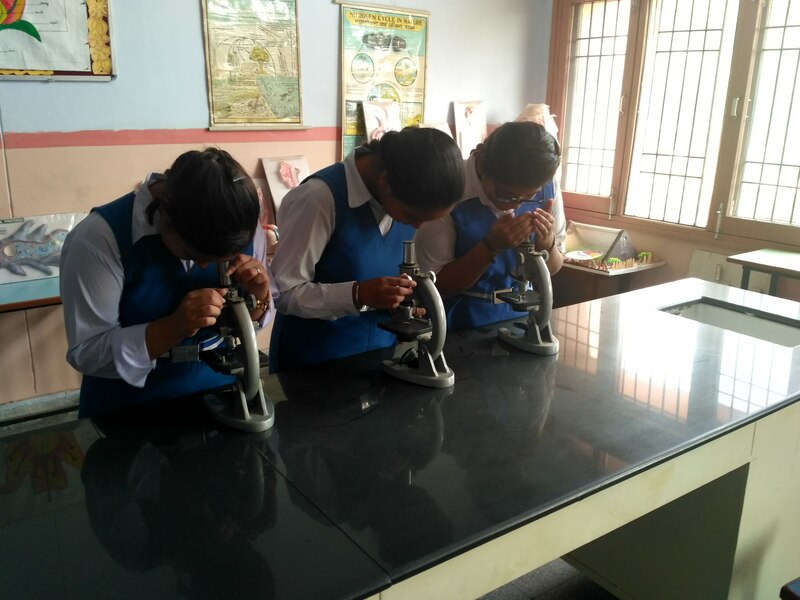 Social Science Lab which is Equipped with various models showing different land forms and natural phenomenon provides a real life experience to the students. Here the students also explore the ways how technology can be used to bring history to life. They also learn to analyze the data collected from the field which enhances their understanding of Environmental sustainability. Our school proudly announces – Joint association with ‘EXTRAMARK SMART CLASS’ a digital revolution in classrooms. This will make learning an enjoyable experience for students. In a short span of about five years, Extramarks products are being used by the best of the institutions in India and abroad. More than 7000+ schools use its products in India and it has presence in Middle East, South Africa and East Asian Countries. It’s after school services are being used by almost about a million students. Extramarks is the first company in the country to adopt collaborative and social learning through internet in its after school study support programme.